Classic agent-based models like Schelling’s model of segregation use very simple ideas about how the world works to explore how complex structures might emerge from simple behavioral rules. This is certainly useful when dealing with a general problem like segregation, but what if we have a specific case study to which we want to apply our model? The integration of models with case-specific datasets becomes particularly important when our models are to be used for policy and decision-making. In these instances, it is often necessary to have models that are capable of producing results that can be interpreted in real-world terms. For archaeology and other disciplines where the systems under study are cannot be confined to a laboratory, this often means being able to consider our data in spatial terms. If we want to build models that operate in realistic geographic settings (and many archaeological applications of agent-based models are aimed at this goal; see here or here for examples), we need to find a way of integrating geographic data with models. In this tutorial, I’ll talk about how to do this using NetLogo. The NetLogo platform possesses several of the basic characteristics of a GIS, in the sense that it keeps track of spatial data in a systematic way, and can be used to create visualizations of spatial data. However, for most applications, the spatial data generated by NetLogo models are gross abstractions (e.g. these patches are “grass”, other patches are “not grass”). 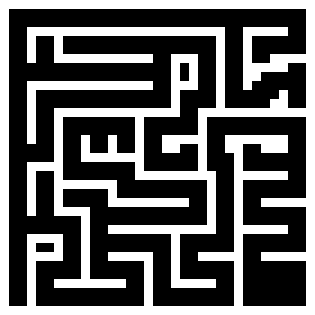 NetLogo has an in-built, gridded topology which can be manipulated by right clicking on the world window in the NetLogo interface and selecting “edit”. Here you can set your origin point, maximum and minimum coordinates, patch size, and whether or not the world “wraps” as a toroid or cylinder. You’ll want to consider these when you add in your data, as these will influence how your data is translated to the NetLogo world. file-open "File IO Patch Data.txt"
user-message "There is no File IO Patch Data.txt file in current directory!" 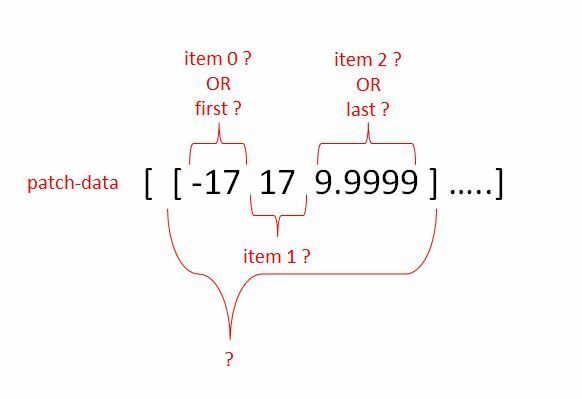 The model then uses a while loop with the conditional not file-at-end? to iterate through the entire file. On each go ’round the loop, NetLogo will use the file-read command three times to read three blocks of text (each being separated by a space in the data file), combine them into a single list of values (e.g. [ -17 17 9.9999 ]) and add them to the list called patch-data. Once the file reaches its end, the while loop stops, and all of the data has been loaded into NetLogo as sublists within the list variable patch-data. The file is then closed using file-close; this is important to do if you end up reading and writing using multiple files. user-message "You need to load in patch data first!" setxy first ? item 1 ? user-message "You need to load in point data first!" However, if your data isn’t in this format (or you can’t convert it easily), another (perhaps easier) option is to use NetLogo’s GIS extension. The NetLogo GIS extension can handle both raster and vector (shapefile) data. There are examples of how the GIS code works in the Code Examples section of the NetLogo model library. The following worked example will use both types of data in a single NetLogo model. Raster (gridded) data can only be directly imported to NetLogo as ASCII (.asc) or ESRI grid (.grd) files. It is important that each file be accompanied by a projection file (.prj) file that is in the correct format. Let’s say I’m interested in river discharge on coastal fish populations. 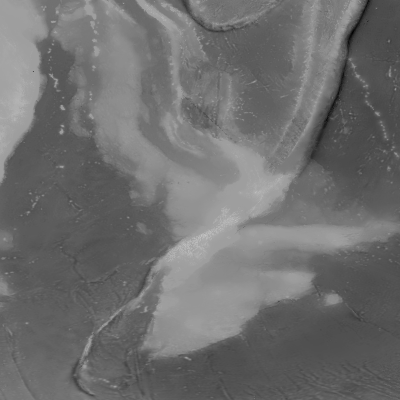 To start, we’ll download some elevation/bathymetric data from the GEBCO world bathymetric dataset. 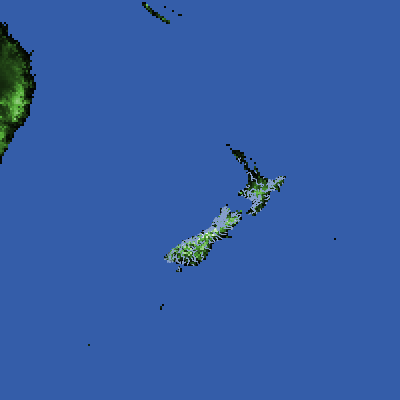 I’ll pull a square from 150 E to 170 W, and from 60 S to 20 S (the area around New Zealand) and save it as “nz_area.asc”. 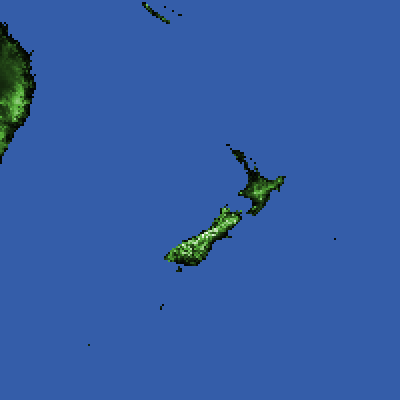 Then we’ll drop the files (nz_area.asc and nz_area.prj, at the very least) into the directory where our model is stored. The data itself, recorded at the scale of 30 arc seconds per pixel, gives us a grid of 4800 x 4800 pixels. To set up the world to accept this, you should edit the settings so that the location of the origin is in the bottom left corner, set the max-pxcor and max-pycor to 199, and choose a pixel size of 2 or so. This should make the map a reasonable size on your screen, but you can change this later on as you see fit. The global variable elevation will be where the raster dataset is stored within the model. The gis:load-dataset command loads in the data, while the gis:set-world-envelope-ds sets the envelope of the world to match that of the GIS dataset. This latter command is very important if you’re working with more than one GIS layer and want to limit the boundaries of your world. It won’t handle commas(,) in place of decimals (.). Any commas or other punctuation should be avoided. It doesn’t like certain NO_DATA values. You’re best off replacing these with an otherwise unused integer (like -9999). To fix these issues, just open your file with a text editor, make the necessary changes, and then save your data and try again (you may have to check this a few times for weird carriage returns and formatting things like that in the data). If you follow these steps, you should be able to get your data into shape. This should produce this picture in the world window. Shapefiles (.shp), or vector data, can be imported into NetLogo fairly simply, but because the NetLogo world is gridded to begin with, the topological relationships between shapefiles and agents/patches can be a little fraught, and usually requires a good understanding of how lists work (see above). This would translate into “the NetLogo coordinates of the centroid of the first feature in the rivers dataset”, which are [100.3872222118864 77.92170204594207 ]. If you can’t be bothered exporting data and doing spatial analysis in a separate program, you could use the NetLogo R extension to run spatial analysis using the spatstat package. Instructions on how to work with the R extension can be found in this earlier blog post, and information on the spatstat package is here. I’d like to add a word of caution: working with real spatial relationships may seem appealing because of the potential to connect models to real world data, but it adds additional complexity to the model and reduces its generality. There are some issues which are inherent in the representation of geospatial data which are not often accounted for in an ABM setting. No spatial data is a perfect representation of reality, and certain trade-offs are always made. For example, depending on what your application is and how your model is scaled, you may need to consider how your spatial data is projected, and carefully calibrate agent behaviors to account for differences in projection. In the example above, the scale from east to west at the northern part of the map is quite different from that at the southern part of the map. Additionally, moving models into realistic spaces means outcomes usually become far more dependent on the particular conditions and data being used in the model, and less about the process under study. If your goal is hypothesis testing, then this might be appropriate, but it is certainly worth considering how well a process is understood and what assumptions are going into a model before undertaking site-specific modeling studies. It is without a doubt that individual-based modeling techniques coupled with GIS for examining human/wildlife/landscape interactions is a powerful tool for decisionmakers. Aside from representing individual behaviors and their associated environments, exploring both the social and ecological impacts in a dynamic system has tremendous potential for assisting decisionmakers in understanding and protecting extraordinary landscapes. …agent-based simulations provide new and exciting ways for managers and researchers to explore and compare alternative scenarios before they are implemented and evaluate them in terms [of] consequences of policy actions and social, ecological, and economic impacts.